Pinterest has appointed Sarah Bush as its first UK country manager as it seeks to grow the brand outside of its core US market. 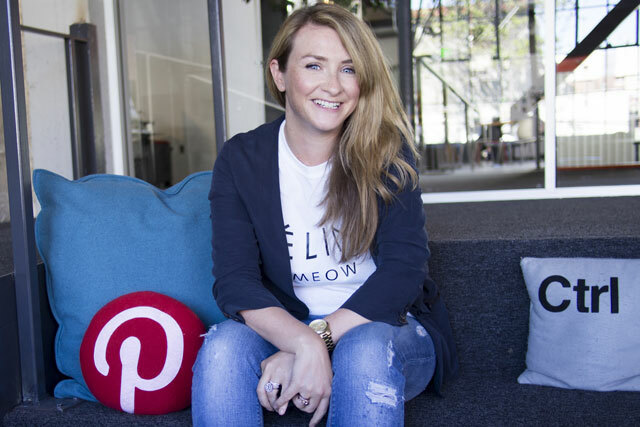 Bush is the first member of staff Pinterest has hired in the UK and she will continue the work Pinterest started in May when it began tailoring the service to the UK with features including a British English language option. Other features include a localised version of the website and mobile apps, which aim to make UK content more relevant to local "pinners". Bush will work with more than 140 employees at the Pinterest headquarters in San Francisco and report into Matt Crystal, head of international at Pinterest. Crystal said: "The Pinterest community in the United Kingdom has been growing as people find inspiration for the things they love – such as food, fashion, cars, and art. "As we work to make Pinterest more personalised and relevant for everyone, Sarah is well-positioned to serve as a resource for pinners in the UK." Bush will also be tasked with overseeing the UK offshoot of the Pin It Forward blogging campaign that has enlisted hundreds of local bloggers. The campaign seeks to deliver a "locally relevant" experience to UK based Pinterest users. Pinterest claims more than one million Pinterst posts are made in the UK each day, with more than 60% of monthly users visiting the site weekly. Bush has joined Pinterest from Vestiaire Collective, a fashion website for pre-owned luxury goods, where she also held the position of UK country manager. She comes from a marketing background having previously managed European marketing, business director and editorial functions at e-commerce site Shopstyle by Popsugar. Industry View: Can Facebook emulate Twitter's #hashtag success?